Finally decided that a loft conversion is right for your home? If you have then it is time to think about what you want it to look like. With this in mind we have put together the most useful tips that you should know about your loft conversion from planning to decorating. It probably won’t come as much of a surprise to learn that any good loft conversion comes with careful planning. Before anything else you will need to make sure that you have enough room for the conversion in the first place. If you can measure 230cm from the floor to the roof, then you have enough room to convert the space. You will also need to look at how you will access the room; deciding where you will put the stairs that is safe and will not have too great an impact on the rest of your home. One of the most important factors that you need to keep in mind is your own budget, this will help you to plan the conversion and know what you can achieve. You will also need to think about the location of your windows, doors and of course the insulation too. 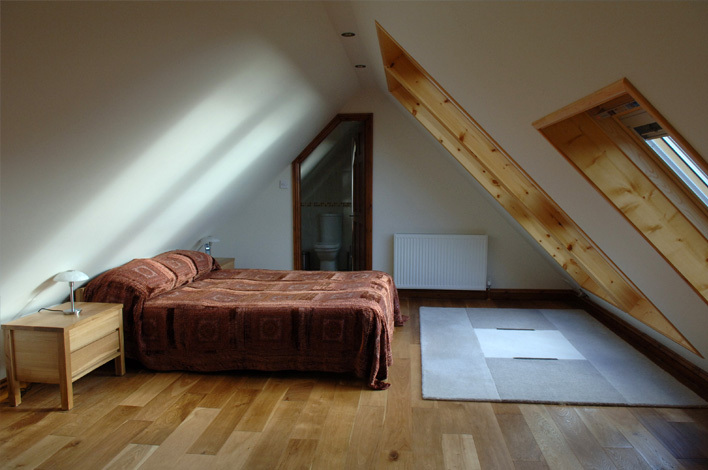 All important factors when planning in your loft conversion. Now you know the shape, size, layout and design of your loft conversion, so now you need to think about how you are going to decorate and finish off the space. Try to stay away from darker colours as these can mean that the room feels smaller and more condensed then it actually is. Neutral colours are ideal for loft conversions, not only are they light and airy but they are also easy to accessories with and finish off. Worried that the space is going to have a lack of natural light? If you are then why not hang a mirror on the wall? This reflects the light that does make its way in and bounces it around the room, ideal for making a space seem open. Wooden ceilings can give your loft space a really rustic feel, this can be incredibly complimentary if you combine with wooden furniture and simply, natural colour schemes. Now you know just how to make sure that you have the perfect loft conversion for your home. Whether it is in the planning, the decorating or simply just making sure that all the finishing touches are perfect; there are things you can do to make a difference to the end result. Click that button to spread some love. This article was posted in loft conversions and tagged decorating, loft conversions, lofts, planning, tips. Bookmark the permalink. Follow comments with the RSS feed for this post.Comments are closed, but you can leave a trackback: Trackback URL. Clapham Builders And Hiring Only The Best! © 2019 Wealden Construction Company.